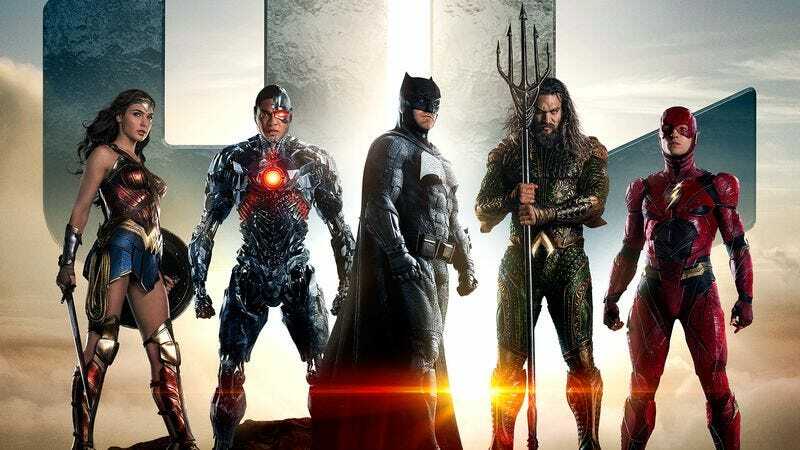 According to The Wrap, the rumor that’s currently floating around the internet about Justice League having an interminable runtime—somewhere around three hours—has no basis in reality. But doesn’t it just feel like it’s right? Doesn’t it seem perfect that Zack Snyder wouldn’t be able to restrain himself? The jokes just write themselves. The key source for this chatter seems to be that the movie’s length is listed as 170 minutes on IMDb. But, as The Wrap notes, the project is still in the process of being edited, meaning at this point no one really knows how long it will be. Still, we’re betting its not exactly short. Man Of Steel clocked in at 143 minutes, while Batman V Superman: Dawn Of Justice ran 151 minutes. (There’s also an 183-minute extended edition of that one available for those really into easily-resolved arguments.) Justice League, just by virtue of how many superheroes are involved, has to cover a lot more material than those two films, so be ready to hold your bladder come November.